Rudolph W. Giuliani, the former New York mayor and a recent addition to President Trump’s legal team, said Wednesday night that Trump made a series of payments reimbursing his attorney, Michael Cohen, for a $130,000 settlement with an adult-film actress — appearing to contradict Trump’s assertion last month that he was unaware of the payment. “The president repaid it,’’ Giuliani told Fox News Channel’s Sean Hannity. Giuliani argued that the payment to actress Stormy Daniels could not have violated campaign finance laws because no campaign money was involved. 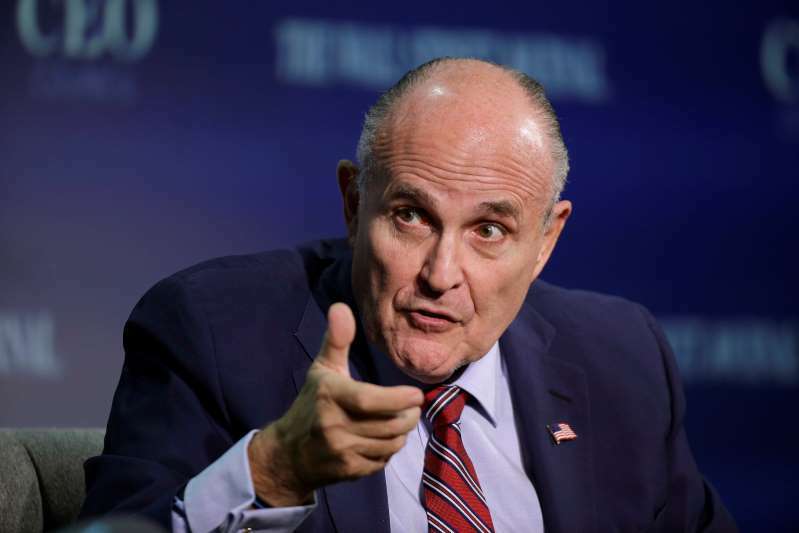 Larry Noble, general counsel for the nonpartisan Campaign Legal Center, said Giuliani’s statements do not end the questions about possible campaign finance violations — and in fact could point to further concerns. Giuliani’s remarks raise the question of whether Trump misrepresented his knowledge of the arrangement. On Wednesday night, Giuliani said Trump repaid Cohen through a series of payments over a period of months, but didn’t specify when they occurred. Cohen has said he arranged the financing of the settlement with Daniels through his home-equity line of credit. In a statement earlier this year, he did not mention any role by Trump. “Neither the Trump Organization nor the Trump campaign was a party to the transaction with Ms. Clifford, and neither reimbursed me for the payment, either directly or indirectly,” Cohen said, using Daniels’s real name, Stephanie Clifford. Federal prosecutors in New York are investigating Cohen’s business practices, including whether there were any crimes committed as part of a possible pattern or strategy of buying the silence of people who could offer accounts in 2016 that could have damaged Trump’s candidacy, according to people familiar with the probe. Daniels sued Trump in early March, seeking to void the deal she signed shortly before the 2016 election. That suit also named Essential Consultants, a company that Cohen set up as a vehicle for the $130,000 payment. Michael Avenatti, an attorney for Daniels, said Giuliani’s comments suggested campaign finance violations and possibly bank fraud and money laundering. Trump’s attorney in the Daniels case, Charles Harder, did not respond immediately late Wednesday to a request for comment. On Fox News, Giuliani appeared surprised to learn that Cohen has said he made the payment to Daniels on his own. Giuliani also offered new rationale for why Trump fired then-FBI Director James B. Comey in May 2017, saying the president was justified in removing Comey because Comey would not publicly say that the president was not under investigation as part of the FBI’s probe of Russian election interference. Beth Reinhard contributed to this report.